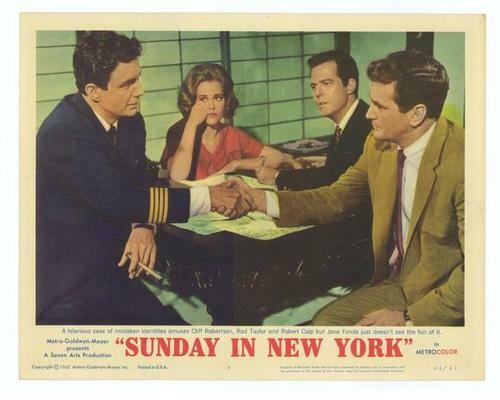 The Warner Archive has released via their DVD on demand, the 1963 Jane Fonda film “Sunday In New York “. 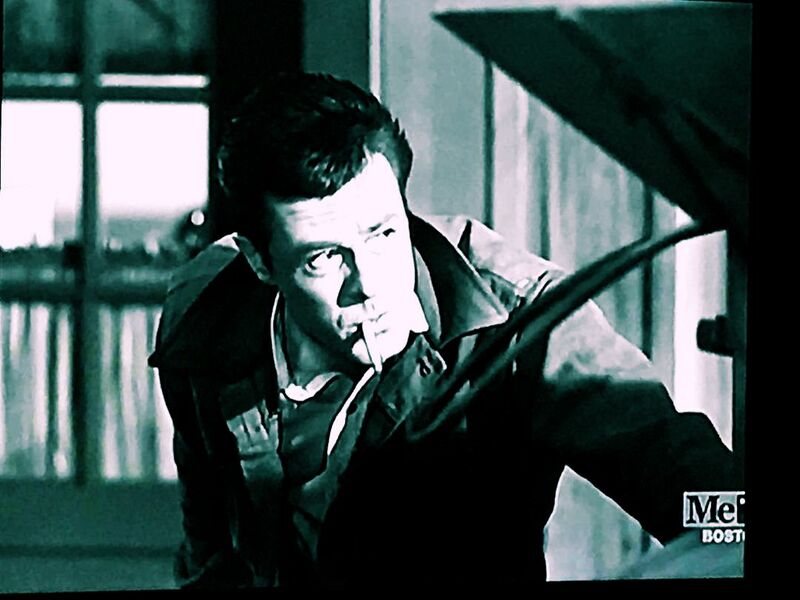 Robert Culp, of course, is also in it. I’ve seen various photos and movie stills from this movie and have read about and have lamented not being able to find it on DVD. I just loooooooooooooove the Warner Archive! Thanks WB! We all know the expression, “You had me at hello?” Yeah, that’s pretty much what happened here. I loved this episode at first viewing and thoroughly enjoyed viewing it again when I went back to do my caps for this post. I won’t say how many total screen caps I ended up doing because…um…well, it was a lot. 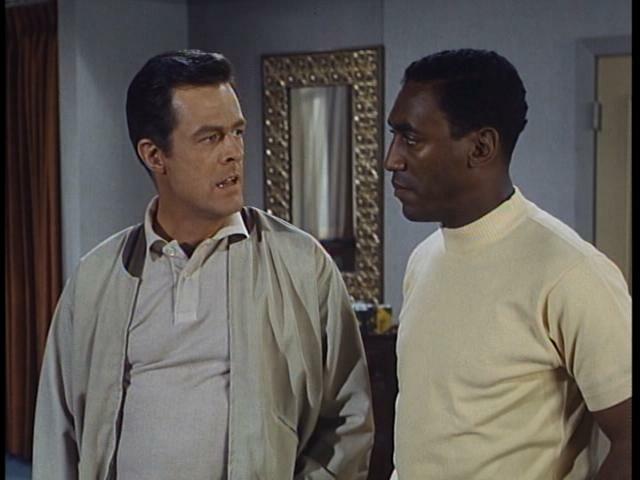 But suffice it to say, not long after viewing this episode (along with the very first episode of I Spy, “So Long Patrick Henry” also posted at YouTube at the time) I bought all three seasons of I Spy. In one shot. Wham, bam, thank ya sir. 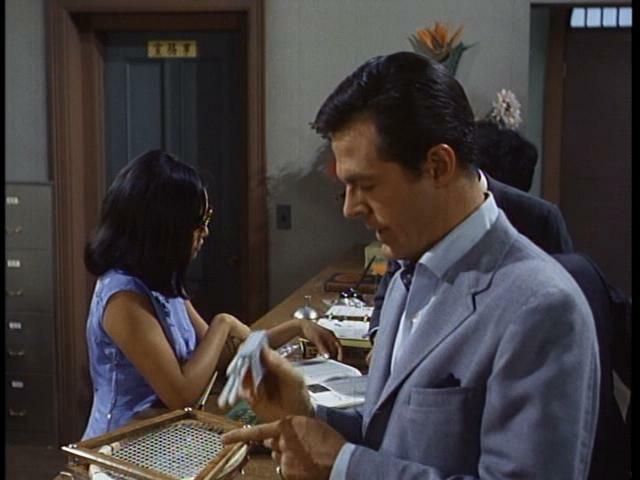 So here we go, the episode that introduced me to Kelly Robinson, Alexander Scott, tennis, Hong Kong and ascot ties! Kelly and Scotty return to their hotel room only to realize from the shadow showing in the door vent that somebody is sneaking around within. They dismiss their busboy and, always being prepared, remove weapons from their sports bags. They then enter the room, which appears to be empty. They both notice two feet showing from behind the floor length curtain by the window. They get the drop, only to find it’s just a pair of shoes. They immediately turn to the closet next to them but their visitor is actually across the room, watching them from behind a book shelf. He announces himself, with gun drawn. 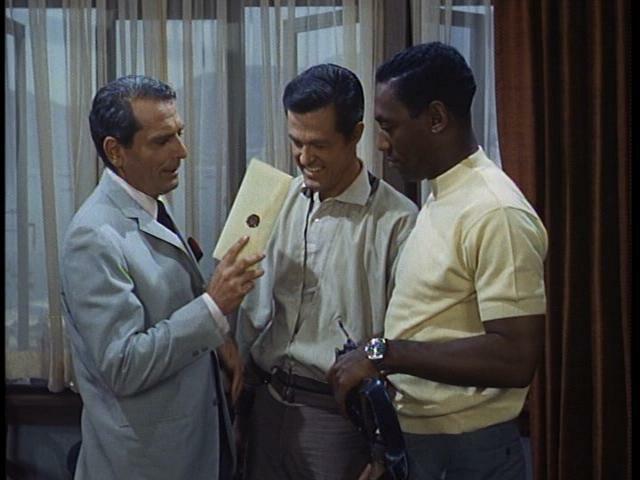 He gives the envelope to Kelly who goes to check it out. The message is in code, so Kelly retrieves their codex (hidden with the number six of their room number on the door) and deciphers the message. The decoded message is short and grim. The man delivering the message, Russ, was a double agent and had to be killed. Kelly is clearly shocked by the news of his old teacher and the assignment that’s now been placed within his and Scotty’s hands. 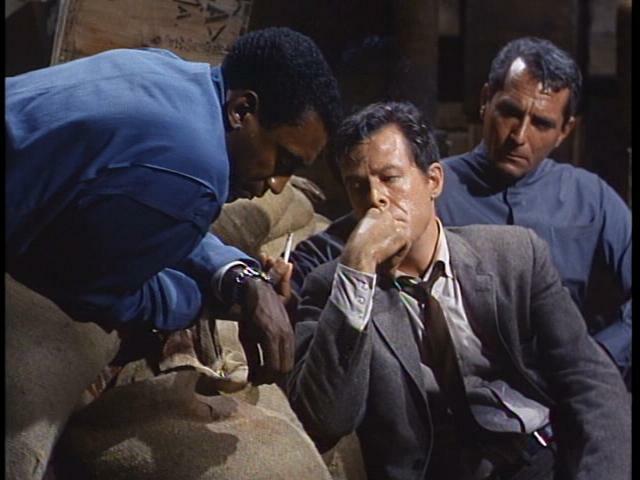 Kelly shoves aside his feelings about the assignment and maintains a cool detachment as he rejoins Russ and Scotty for a drink. Kelly hands the decoded message to Scotty, folded and says nothing to Russ, other than confirming that it’s a new assignment. While Scotty reads the message, Kelly pours a beer for Russ and toasts him. Kelly then proceeds to tip Russ’s glass too far, spilling some beer on him. The tactic serves one obvious purpose – to get Russ out of the room for a few moments while Kelly and Scotty absorb their new assignment. Then I got to thinking about it, the gesture also serves another purpose, a way for Kelly to say “Damn you!” without having to speak it. Considering the warm and friendly introduction Scotty had witnessed just a few minutes earlier, he asks Kelly the blunt and obvious question. What are you going to do? Kelly’s reply is equally as blunt. Kill him. 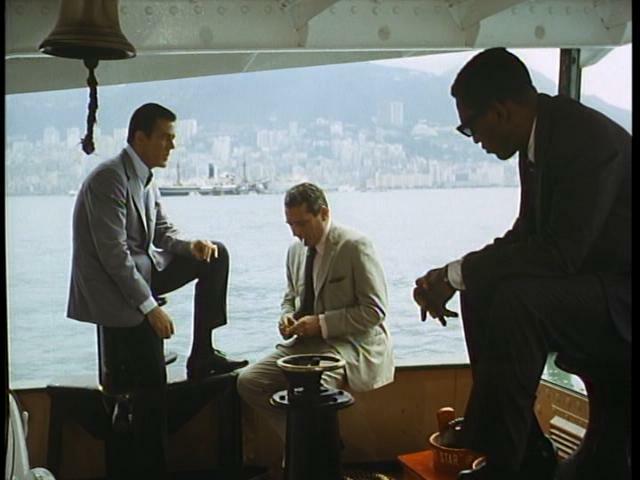 Without letting on that their assignment had to do with him, Kelly and Scotty go about showing Russ the sights of Hong Kong. 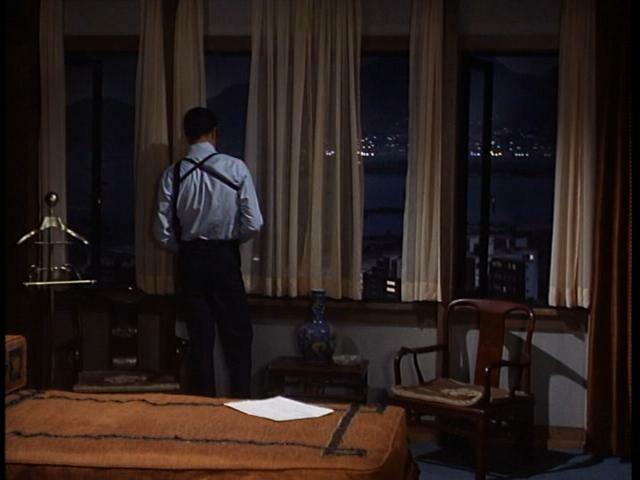 They go up to Victoria Peak (the bluff that overlooks Hong Kong and the harbor) and have a somewhat coded conversation about becoming corrupt. By the end of it, it becomes clear. Russ knows of what was in the coded message and that he’s been branded a traitor by the government. 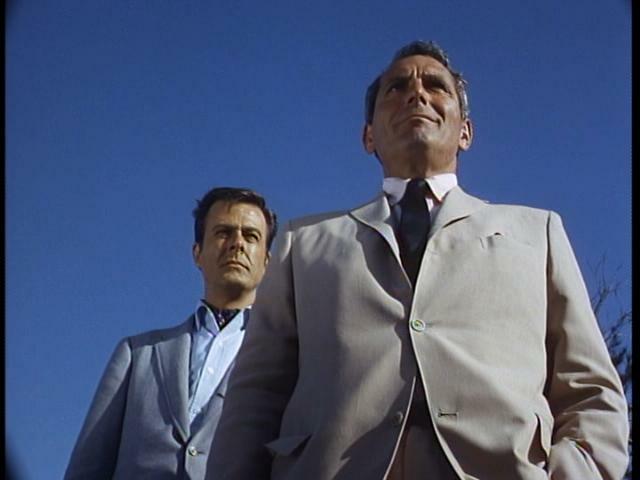 As he and Kelly stand near the edge of the bluff, Russ asks if Kelly’s going to push him off. Kelly is unable to do the task. They ride on the ferry and talk. Russ tells his story of what happened, how he’d been captured and tortured. He couldn’t bring himself to swallow the cyanide tablet. Whether or not Kelly and Scotty are sympathetic it’s hard to tell. Maybe Russ wasn’t a double agent, but he had still sold out to the other side and there’s a slight issue with trust at this point. Russ pleads, however, for their help to prove that he wasn’t a double agent. He had a non-functioning duplicate of the component he had traded his life for. He knew where the real one was located. All they had to do was switch the real component for the fake one. Russ knows where the component is located and offers to show them. Walking through a crowded market area, Russ gives Kelly and Scotty the slip. They find him in short order and he explains that he was only showing that he could’ve walked away and disappeared if he wanted to, if he were truly guilty. Kelly and Scotty don’t seem to be any more assured by this demonstration. Russ then shows them where the component is located, an import/export business. There’s still some skepticism from Kelly and Scotty, about how Russ could even know where this small device is located. He insists, however, that it’s there. When the clerk finishes with her customer and turns her attention to Kelly, he’s all charm. His request is very simple. He wants to ship out a package of firecrackers and his tennis rackets. The girl attempts to explain to him that theirs is not that type of business and that he would need to go elsewhere. Kelly refuses to accept that and asks to see the manager. The manager/owner basically tells Kelly the same thing. As they’re talking though, Kelly has strategically placed his lit cigarette near the exposed fuse of the box of firecrackers. When it goes off, chaos ensues and gives Kelly enough time to watch the manager dash to the back office and check the safe. Before the firecrackers die down and the manager returns to the front office, Kelly dashes back and jumps behind a display. He feigns surprise for what happened and attempts to apologize. The manager wants to hear nothing of it and he removes Kelly, bodily, from the office. Outside, Kelly reports to Russ and Scotty. It’s there. All they have to do now is make the switch. Back at the hotel, they make their plan but afterward, Kelly still seems bothered by something. The next day, they set up. Scotty and Russ will break in from the alley while Kelly pulls another diversion again using the same firecracker trick. The clerk behind the counter is less than enthusiastic to see Kelly again. In fact, she’s essentially non-responsive to any of his charming antics. Kelly, naturally, picks up on her offense and apologizes for his foolishness from the day before. As he’s talking to her, however, the lit cigarette is once again strategically placed near the exposed fuse of the firecrackers. And I mean battle royal! 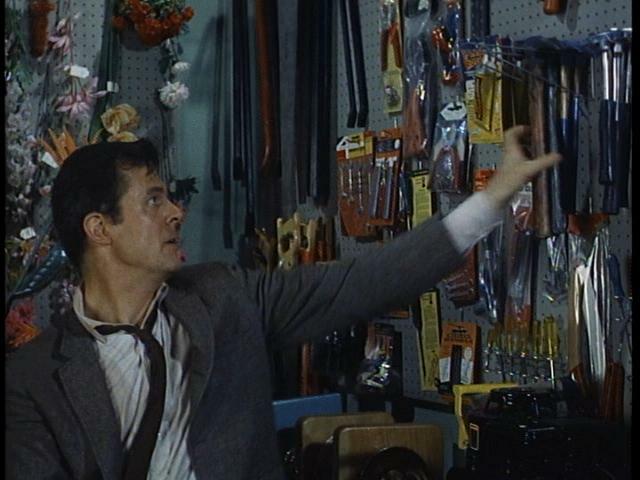 Every possible fight technique you can think of is utilized in this sequence and it’s one of my favorite fight scenes with Culp. 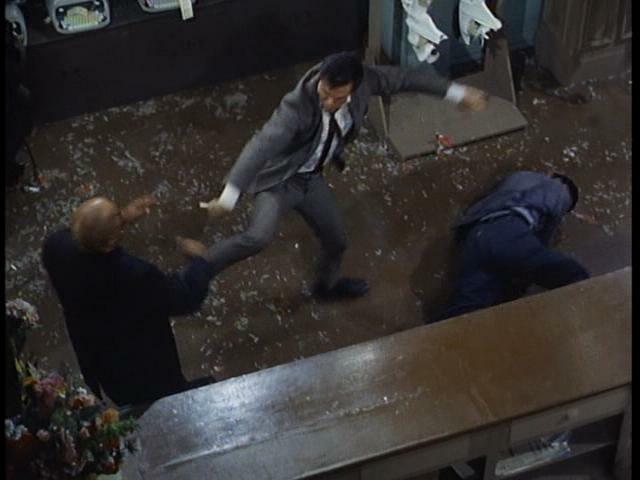 He’s not only throwing punches, he’s jumping on the counters, scaling walls, swinging from the overhead pipes, giving a boot to the head here n’ there, coming down to the floor long enough to stuff one guy into a desk and then swinging on a hanging overhead lamp. Oh, and the hammer toss! I can’t forget the hammer toss! Russ, unfortunately, doesn’t have much of an answer, which doesn’t sit well with Scotty. He starts to go around the supply room, trying to find something that might give them an advantage to bust out of the place. Meantime, the exporter manager returns and gives them 15 minutes to decide if they’re going to tell him who they are and what they’re up to. And with 15 minutes until their fate, Scotty wasn’t interested in having to wait for a spark of genius to come from Russ. He starts to gather some stuff together with Kelly helping, although Kelly has no idea what his partner is up to. One thing Scotty needs is for one of the crates of codfish to be opened. Kelly tries to pry it open bare handed, but can’t do it. Scotty asks Russ for the component to use to pry open the crate. Russ hesitates, out of fear of damaging the component, but is overruled by Kelly and Scotty. 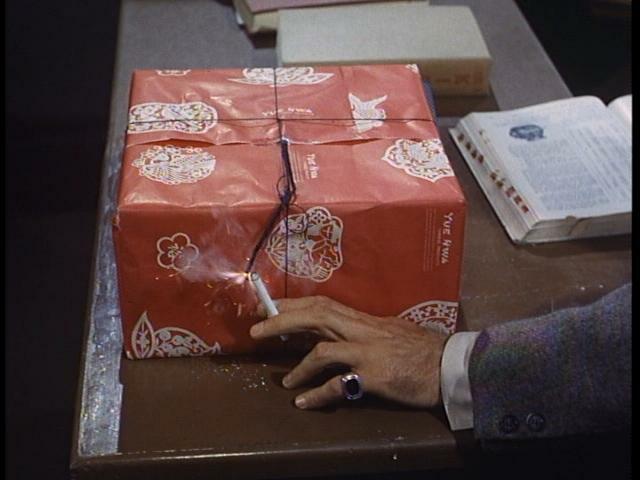 He hands it over and they pry the box open. Kelly watches as Scotty puts the ingredients together in an old shoe box; chemical fertilizer, dry ice and a flammable liquid. Scotty explains that the concoction won’t blow the door off the place but would create enough smoke and chaos to give them the upper hand. The only thing left needed was a fuse, and the only thing they had was cigarettes. After determining how far a cigarette burns in five minutes, Scotty clipped another cigarette to the same length and lit it. He set it in the box and everyone took cover within the room. They had just about five minutes until their hosts returned. 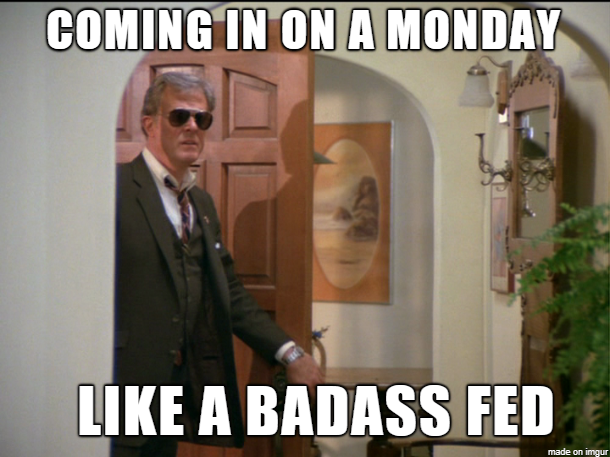 No sooner do the bad guys open the door when Scotty’s homemade bomb goes off. Chaos erupts and the boys have a momentary advantage over the bad guys. There’s a fight and gunfire and a close call for Kelly who’s nearly shot by one of the bad guys. Russ saves Kelly and they make their escape. 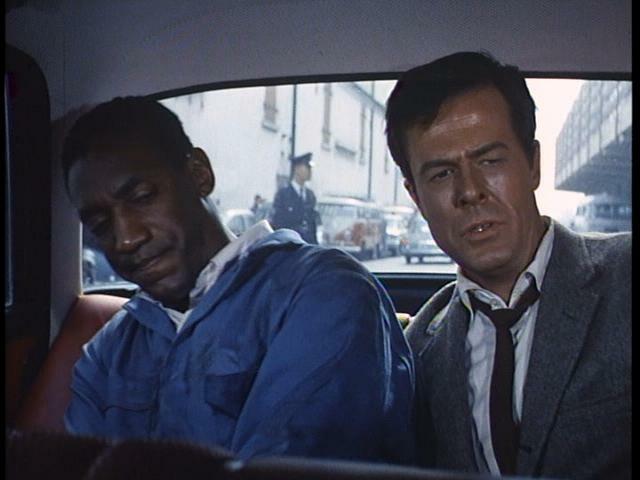 The three jump into a cab and it’s here that Kelly and Scotty find their suspicions confirmed. Russ points a gun at them while instructing the driver to go to Victoria Peak. At Victoria Peak, the truth about Russ comes to light. He has, in fact, gone corrupt. With the component back with him, he can now sell it to an even higher bidder. The only thing left was to dispose of Kelly and Scotty. Kelly belittles Russ for setting it up to shoot them in the back. Scotty, however, isn’t going to stand and take a bullet in the back and he turns suddenly and charges at Russ. Russ shoots, hitting Scotty in the leg as Kelly also charges at Russ and there’s a struggle and scuffle. 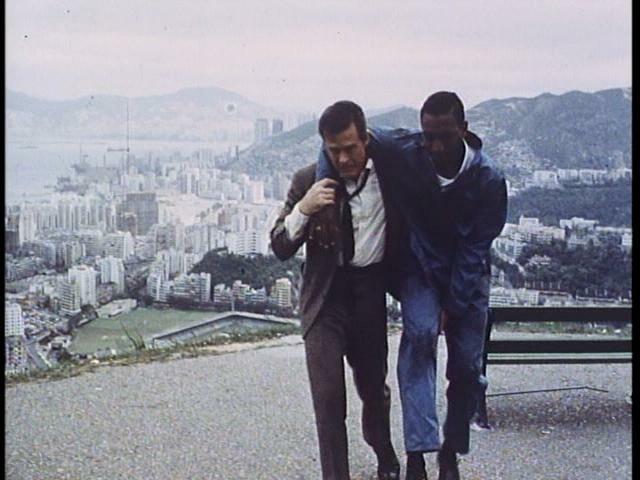 Kelly knocks the gun from Russ’s hand and during the course of the struggle, Kelly drops down to the ground on his back, pulling Russ with him. He flips him over and sends him tumbling off the edge of the cliff. Although this had been the mission all along, Kelly is horrified. After all, Russ had been his teacher and somebody he had respected at one time. The deed done all the same, Kelly picks up the component (Russ had made Scotty put it down on the ground earlier) and turns his attention to his wounded partner. Kelly apologizes for what’s happened but Scotty shakes it off. Kelly didn’t have to apologize for anything. With their assignment complete and Scotty on the mend, Kelly’s kinda bummed by what happened with Russ. But not for too long. The girl who worked as a clerk at the import/export place comes knocking on the boys’ hotel room door. Kelly’s surprised to see her. She carries with her a box of firecrackers, like what Kelly used with his ruses. She tells the boys that she was cleared of any wrongdoing, since she had been working at the place for only a few days and had no idea what was going on. She then lights the fuse on the box of firecrackers, sending Kelly and Scotty both diving under their beds. But the box doesn’t go off….at first. She was told it wouldn’t but had wanted to see how they would react. Then all of a sudden, it does go off and she winds up under the bed with Kelly. Yeah… Yeah, I would have too. The first season DVD for “I Spy” is available at Amazon.com.